Thanks To Bro. Chris Popa The Founder And Creator Of The Big Band Library http://www.bigbandlibrary.com For This Great Buzz Of An Article!!! Go To the Official Website http://www.jimmieluncefordjam.blogspot.com to find out more and how you can support this historical undertaking!!! Jimmie Lunceford [ above ] died in 1947, but his music lives on thanks to several current endeavors. First is a resurrected Jimmie Lunceford Legacy Orchestra; surprisingly, it's not in the United States, but, rather, in Holland. Another is a new CD by the Orchestra, "Rhythm Is Our Business," made up of 16 tracks. And third is a plan to hold a yearly Lunceford celebration in his hometown of Memphis, Tennessee. According to publicity, "It was only a chance discovery of the original Lunceford band book with charts and notations in 1999, gathering dust in the Smithsonian library, that inspired Dutch saxophonist and band-leader Robert Veen to embark on an epic 8 year journey to resurrect the JLO, to record and release the first 'new' Lunceford recordings in 60 years." Though the reformed band first appeared two years ago at the North Sea Jazz Festival held in The Netherlands, their activity is just now taking off. For example, in February 2007, they performed at the Paradiso Club in Amsterdam, and, last month, presented a three-hour show, "A Night At the Cotton Club," at the 10th annual Jazz Op Tilt Festival in Giessenburg. Additional details are at the webpage myspace.com/jimmieluncefordlegacyorchestra. Meanwhile, in Memphis, sponsors were being sought for a three-day celebration, "The Jimmie Lunceford Jamboree Festival," to take place October 19th through the 21st at various locations around the city. 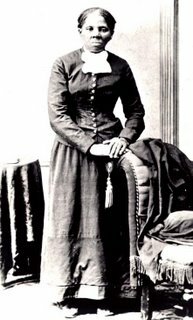 According to organizer Ronald Herd II, planned events include an opening symposium at Manassas High School, discussing Lunceford's life and career; a tribute concert; and a wreath-laying ceremony at Lunceford's gravesite in Elmwood Cemetery. For more information, view the website jimmieluncefordjam.blogspot.com. It was stated that the purpose of the Festival is "To Honor And Bring Awareness To The Forgotten And Impressive Legacy And Achievements Of Jimmie Lunceford," credited, among other things, for being "The First High School Band Orchestra Leader/Conductor In The History Of The Memphis City Schools." Author Eddy Determeyer, in his recent Lunceford biography, Rhythm Is Our Business (Ann Arbor, MI: The University of Michigan Press, 2006), wrote that "In 1927, Lunceford was one of the world's first, if not the first to teach jazz at a school." Lunceford had been hired that year to teach English, Spanish, music, and athletics at Manassas High School in Memphis. 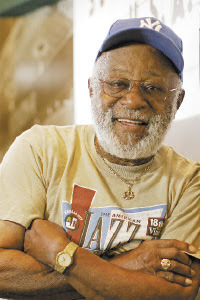 He organized a student band there, called The Chickasaw Syncopators, which took its name from the African-American neighborhood where most of the students lived. "Jimmie Lunceford taught his students jazz history, dance band harmony, dynamics and blending, the use of mutes, how to build a solo, and rhythm," Determeyer explained. "He used a Victrola to have them analyze how other, well-established dance orchestras performed." Under Lunceford's leadership, The Chickasaw Syncopators turned professional and, by 1933, were billed as his own orchestra. Jackson, MS – September 25, 2007 – In the recently released documentary, Why Only Killen?, the Arkansas Delta Truth and Justice Center reopens the question of the adequacy of justice rendered by the state of Mississippi in the Neshoba County civil rights murders case of 1964. “After more than 40 years it is long past the time to reveal the truth and obtain a full measure of justice in the Neshoba murders case. It is late, but it is never too late to reveal truth and render justice.” says John Gibson, co-producer of the documentary. In June 2005, Edgar Ray "Preacher" Killen was convicted of manslaughter by a Mississippi jury, 41 years after the murders of civil rights workers James Chaney, Andrew Goodman, and Michael Schwerner. 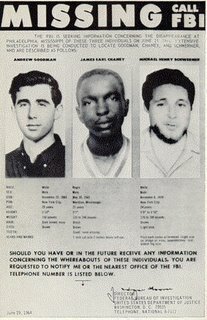 It is widely believed that there are many others who were complicit in the murders, yet Mississippi has never prosecuted any of these people. Please join The Fannie Lou Hamer National Institute on Citizenship and Democracy of Jackson State University, the Veterans of the Mississippi Civil Rights Movement, and the Arkansas Delta Truth and Justice Center for a screening of the documentary on Wednesday, October 3, at 6:00 p.m. at the Smith Robertson Museum at 528 Bloom Street in Jackson , Mississippi. The screening will be the first presentation in the 24th Annual Fannie Lou Hamer Memorial Symposium Lecture Series. This event will begin with an introduction describing how the documentary came to be made. Poet, freedom singer and veteran of the civil rights movement Margaret Block will share memories of her friends James Chaney and Michael Schwerner and lead the crowd in freedom singing. Jimmie Travis and other Mississippi civil rights movement veterans will also participate in the program. What: Documentary screening of Why Only Killen? In her exhibition "Beth Edwards: Inside Out" at David Lusk Gallery, Edwards' saturate, surreal paintings take us deep inside memory and the creative process and, along the way, turn some of Baudrillard's postmodern notions inside out. Instead of viewing representations (what Baudrillard calls "simulacra") as perversions or pretenses of reality, Edwards welcomes all images as raw materials that feed her imagination. All color schemes and combinations of high-and-low art are possible in Edwards' worlds. In Happy Day, an exuberant anthropomorphic mouse stands in front of an orange divan and plastic plant and looks at the painting of a human figure fractured by cubism. In Annunciation, a baby doll with a green face and orange hair stands in a royal-blue room looking out an open window. In Edward Hopper-like fashion, sunlight pours into the otherwise empty room creating a geometric pattern on the wall. All of Edwards' art is filled with spirit and anointed with light. With the vintage dolls, cartoon characters, and modernist paintings of her mid-20th-century childhood, Edwards builds highly expressive worlds that suggest what is most "real" is unfettered memory and imagination. "NIA: Salon 3," Delta Axis @ Marshall Arts' current exhibition, showcases established artists and newcomers in an unsettling, exhilarating group show that depicts the world at a boiling point. Frank D. Robinson's mesmerizing installation, Full Support, covers the entire back wall with 21st-century posters and paraphernalia. In the large mixed-media painting, Baby Jesus, Ron Herd creates a mosaic of the hopes/needs/fears that drive us all. Crowns, crosses, and doves are everywhere. Large transparent wings flank Christ's body. 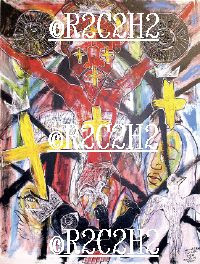 Red flames burn inside him, and his crucified feet cradle an ebony baby with an all-seeing eye. A charred lump of clay, dressed in crudely stitched burlap, stands at the end of a road blown into rubble in Dail Chambers' mixed-media installation Crossroads. While Chambers records what happens when disparate points of view collide, Aundra McCoy's Spirit Dolls provides hope that the world's cultures and creeds might find a way to co-exist. McCoy's beaded and feathered fetishes are filled with spirit all-embracing and all-encompassing enough to weave Middle Eastern, Native-American, and African motifs into one exquisitely beautiful work of art. Two of the most cogent images in Jonathan McNabb's exhibition "New Works," at Eclectic Eye, take us inside a cathedral and an abandoned prison. In the silver gelatin print, Notre Dame Cathedral, Christ still hangs on the cross near the ceiling but is almost lost in the shadows. Candles burn far below. In Prison Interior, light pours through the crumbling walls and jail cells of an abandoned correctional institute, where pictures of family members, Hollywood stars, and comedians are still tacked to the walls. The sunlight pouring through empty jail cells brings to mind Christ's message — more powerfully than the shadowy scene of the crucifixion in a grand cathedral — of stones loosened, tombs emptied, and darkness pierced by light. Photo artist Ian Lemmonds is another artist who finds beauty and hope in unexpected places. Five out of eight prints in "Serial Monogamy," Lemmonds' current exhibition at L Ross Gallery, consist of piles of Barbie doll legs backdropped by various shades of monochromatic tiles. Light reflecting off the plastic and ceramic surfaces transforms the legs into glowing bouquets. The slender, long-stemmed shapes counterpoint the square tiles on which they lie. Lemmonds captures our attention with body parts placed in obscure settings. As we stand transfixed, searching for metaphor and meaning — is there something titillating, prurient, or brutish about these dismembered limbs? — he surprises us with an experience of beauty that means everything and nothing. Another untitled print has a similar effect. Two minuscule human figures look at a huge luminous plastic rabbit materializing out of the floor. This is not the radioactive creature that ate New York. Instead, a father hoists his son onto his shoulders to better see the limpid-eyed creature embued with something like hope and the suggestion that beauty and wonder are all around us. More Community Control, Less Corporate Control! Open To The Public! Please Bring A Friend! NASHVILLE -- The State Building Commission granted the National Civil Rights Museum a three-month extension on its lease Monday to allow time to work out a long-term renewal. 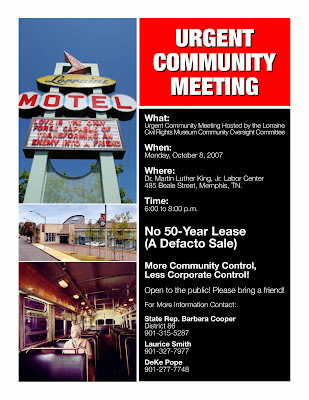 Meanwhile, a group calling itself the Lorraine Civil Rights Museum Community Oversight Committee presented state officials Monday with three "draft proposals" for the Memphis landmark's future governance. All three would take control of the museum away from the 32-member nonprofit board that has operated the museum since it opened 17 years ago. The Building Commission has jurisdiction over all state-owned property. Earlier this month, the full commission delegated authority to its three-member executive committee to extend the museum's lease with the Lorraine Civil Rights Museum Foundation for 90 days past its Sept. 30 expiration date. The committee also removed from the museum's lease a provision that would have allowed the Lorraine Civil Rights Museum Foundation to purchase the museum property for $1. The foundation, which leases the museum property from the state and operates the museum, no longer wants to buy the property and is instead negotiating with the state for a 50-year lease. Earlier this year when the foundation expressed interest in buying the museum, it set off a reaction among some community leaders, including Shelby County Circuit Judge D'Army Bailey, a museum co-founder, that the facility would be "privatized" because the foundation is private and nonprofit. There's still controversy over the museum's future, however, and the lease extension to the end of the year is aimed at giving state officials, the foundation's board and community leaders, including the state legislature's Black Caucus, time to try to work out an agreement. Continued state ownership but with the creation of a new state board to operate the museum. The museum's employees would become state employees. Transfer of ownership from the state to the city of Memphis, which appoints a public board that would operate the museum similar to how the city's other museums are operated. Employees would be city employees. Continued state ownership but with the creation of a new nonprofit board that would operate the museum, much as the existing board has. Staff would be employees of the board. Under all three scenarios presented by the community group, funding for the museum would be from a combination of state and local governments funding, foundation grants and museum fees, and the new boards' memberships "must reflect the participants in the civil rights movement -- with at least 80 percent (of the membership) would be of African-American descent." Contact Nashville Bureau chief Richard Locker at (615) 255-4923. 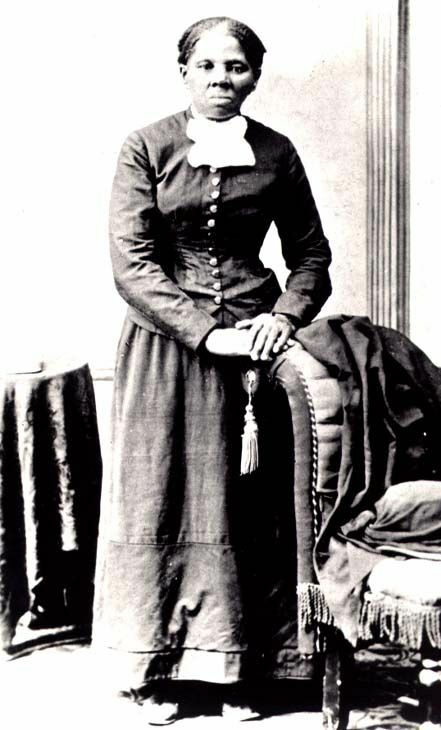 I was on the telephone Thursday with the noted civil rights activist the Rev. James Lawson when he said, "A museum should become a proud culture center of the history of the people of this country because the people make the country great. When I think of such a museum, or such a symbol, one of the first that comes to mind is the National Civil Rights Museum in Memphis. 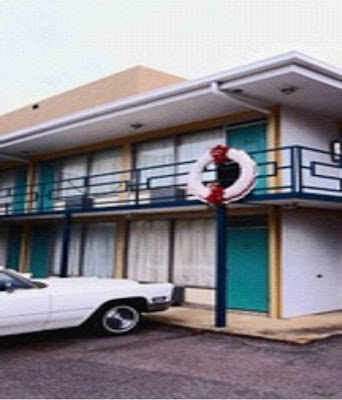 It's a museum that reflects the passion, sorrow and triumph of the civil rights movement from 1954 to 1968. 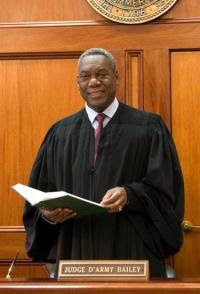 And then there was D'Army Bailey, a Memphis circuit-court judge and civil rights activist who was recently bypassed for a seat on the Tennessee Supreme Court, who came up with the idea of transforming the Lorraine Motel in Memphis where Dr. Martin Luther King Jr. was assassinated into a museum. "We wanted to transform it into some kind of memorial to Dr. King,'' Bailey told me in 1996 as I prepared to write about the National Civil Rights Museum for American Legacy. "We wanted it to be a recreation of that era. We also wanted to highlight the heroes and dramas of that period. I remembered all of that and more about the museum as I began getting e-mails recently about a squabble taking place these days over the operation and future of the museum. "The museum (the nonprofit Lorraine Civil Rights Foundation, which leases the museum's property from the state) has wanted a long-term lease of 50 years, and once wanted to buy it for a dollar,'' Bailey, co-founder of the museum who is no longer an official with the facility, said Thursday. "That's the issue on the table now and that would be giving away black heritage to a group of wealthy whites who would own and control it and define it for the next 50 years. I twice tried to contact longtime board member J.R. "Pitt" Hyde to discuss the matter but had no luck. "The legislative Black Caucus did decide they want the (museum's) lease (which expires at the end of September) to be renewed for only six months, until they have a chance to put together a legislative case for the state to take proud ownership for being in collaboration with the private foundation,'' Lawson told me. "That is a public-community enterprise. It's a state-owned building. This issue is one that state officials and the taxpayers of Tennessee should be concerned about. After all, when the museum was developed in 1991, it was done so with donations from schoolchildren and the Memphis community, both black and white, as well as state, county and city funds. But the best thing about this is that one interested party told me that in the end, he thinks everyone is interested in the National Civil Rights Museum being a success, now and in the long term. I think all those civil-rights heroes would want that, too. 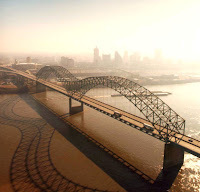 September's Theme Is "We Are Bridge Builders..."
A.) Bro. 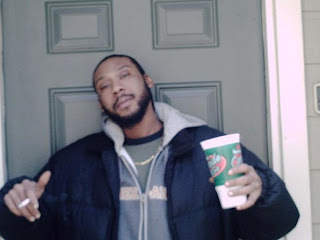 Marcus Jones , the father of Bro. Mychal Bell, the only Jena 6 member who is still in prison and was denied bail last week after a successful Jena 6 Rally. 2.) 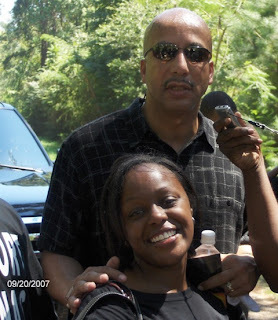 Internet Campaigning And Grassroots Organizing Gets A Wrongly Convicted Black Man Off Death Row In TEXAS!!! *Important~Please Vote For The Following 2 R2C2H2 Websites To Win The 2008 Black Web Awards...Just Follow The Links And Vote As Many Times As You Want!!! The Jimmie Lunceford Orch. playing Nagasaki. My guess is that this was probably filmed around 1934. The middle trumpeter is Sy Oliver, one of the greatest jazz arrangers of all time. The talent here is extraordinary, Where can you find players today who can match those in this band? Tha Artivist Says: This is another reason why everyone should be supporting the first annual Jimmie Lunceford Jamboree Festival...Get off the sidelines of history and get in the game today!!! 9/16/07~W.E. A.L.L. B.E. Radio Was Live From I-55!!! The Live From I-55 Edition of W.E. A.L.L. B.E. Radio!!! 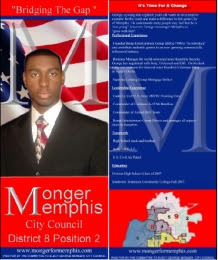 He is currently running for Memphis City Council, but he just graduated from High School in the spring of 2007 from my alma mater Overton High School in Memphis…He made history because he got the City of Memphis to change the rules of a person’s eligibility to run for the Memphis City Council…At first a person running for the Memphis City Council had to be at least 23 years of age and a voting citizen for five years…But This Up And Comer Known As Bro. George C. Monger Changed All Of That...Even award winning documentary film maker and rebel rouser extraordinaire Michael Moore's collaborator Jason Pollack sent a documentary crew to cover this brother and Bro. Monger also has several other surprises coming soon…So let me just say that this is an honor and privilege to introduce our faithful W.E. A.L.L. B.E. Radio Audience To This Up And Comer Known As Bro. George C. Monger!!! Louie Was Kanye And The Dixie Chicks Before Kanye And The Dixie Chicks Were Even Born!!! FIFTY years ago this week, all eyes were on Little Rock, Ark., where nine black students were trying, for the first time, to desegregate a major Southern high school. 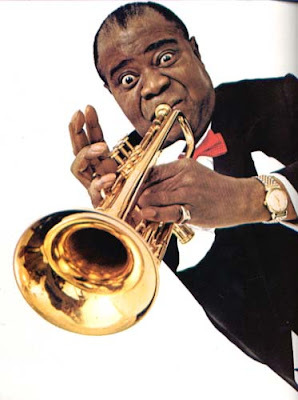 With fewer than 150 blacks, the town of Grand Forks, N.D., hardly figured to be a key front in that battle — until, that is, Larry Lubenow talked to Louis Armstrong. On the night of Sept. 17, 1957, two weeks after the Little Rock Nine were first barred from Central High School, the jazz trumpeter happened to be on tour with his All Stars band in Grand Forks. Larry Lubenow, meanwhile, was a 21-year-old journalism student and jazz fan at the University of North Dakota, moonlighting for $1.75 an hour at The Grand Forks Herald. But Mr. Lubenow was thinking about other things, race relations among them. The bell captain, with whom he was friendly, had told him that Mr. Armstrong was quietly making history in Grand Forks, as he had done innumerable times and ways before, by becoming the first black man ever to stay at what was then the best hotel in town. Mr. Lubenow knew, too, that Grand Forks had its own link to Little Rock: it was the hometown of Judge Ronald Davies, who’d just ordered that the desegregation plan in Little Rock proceed after Gov. Orval Faubus of Arkansas and a band of local segregationists tried to block it. As Mr. Armstrong prepared to play that night — oddly enough, at Grand Forks’s own Central High School — members of the Arkansas National Guard ringed the school in Little Rock, ordered to keep the black students out. President Dwight D. Eisenhower’s meeting with Governor Faubus three days earlier in Newport, R.I., had ended inconclusively. Central High School was open, but the black children stayed home. Mr. Lubenow was first told he couldn’t talk to Mr. Armstrong until after the concert. That wouldn’t do. With the connivance of the bell captain, he snuck into Mr. Armstrong’s suite with a room service lobster dinner. And Mr. Armstrong, wearing a Hawaiian shirt and shorts, agreed to talk. Mr. Lubenow stuck initially to his editor’s script, asking Mr. Armstrong to name his favorite musician. (Bing Crosby, it turned out.) But soon he brought up Little Rock, and he could not believe what he heard. “It’s getting almost so bad a colored man hasn’t got any country,” a furious Mr. Armstrong told him. President Eisenhower, he charged, was “two faced,” and had “no guts.” For Governor Faubus, he used a double-barreled hyphenated expletive, utterly unfit for print. The two settled on something safer: “uneducated plow boy.” The euphemism, Mr. Lubenow says, was far more his than Mr. Armstrong’s. 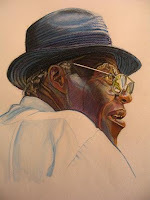 Mr. Armstrong bitterly recounted some of his experiences touring in the Jim Crow South. He then sang the opening bar of “The Star-Spangled Banner,” inserting obscenities into the lyrics and prompting Velma Middleton, the vocalist who toured with Mr. Armstrong and who had joined them in the room, to hush him up. Mr. Lubenow, who came from a small North Dakota farming community, was shocked by what he heard, but he also knew he had a story; he skipped the concert and went back to the paper to write it up. It was too late to get it in his own paper; nor would the Associated Press editor in Minneapolis, dubious that Mr. Armstrong could have said such things, put it on the national wire, at least until Mr. Lubenow could prove he hadn’t made it all up. So the next morning Mr. Lubenow returned to the Dakota Hotel and, as Mr. Armstrong shaved, had the Herald photographer take their picture together. Then Mr. Lubenow showed Mr. Armstrong what he’d written. 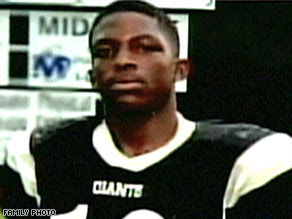 “Don’t take nothing out of that story,” Mr. Armstrong declared. “That’s just what I said, and still say.” He then wrote “solid” on the bottom of the yellow copy paper, and signed his name. The article ran all over the country. Douglas Edwards and John Cameron Swayze broadcast it on the evening news. The Russians, an anonymous government spokesman warned, would relish everything Mr. Armstrong had said. A radio station in Hattiesburg, Miss., threw out all of Mr. Armstrong’s records. Sammy Davis Jr. criticized Mr. Armstrong for not speaking out earlier. But Jackie Robinson, Sugar Ray Robinson, Lena Horne, Eartha Kitt and Marian Anderson quickly backed him up. His road manager quickly put out that Mr. Armstrong had been tricked, and regretted his statements, but Mr. Armstrong would have none of that. “I said what somebody should have said a long time ago,” he said the following day in Montevideo, Minn., where he gave his next concert. He closed that show with “The Star-Spangled Banner” — this time, minus the obscenities. Mr. Armstrong was to pay a price for his outspokenness. There were calls for boycotts of his concerts. The Ford Motor Company threatened to pull out of a Bing Crosby special on which Mr. Armstrong was to appear. Van Cliburn’s manager refused to let him perform a duet with Mr. Armstrong on Steve Allen’s talk show. But it didn’t really matter. On Sept. 24, President Eisenhower sent 1,200 paratroopers from the 101st Airborne into Little Rock, and the next day soldiers escorted the nine students into Central High School. Mr. Armstrong exulted. “If you decide to walk into the schools with the little colored kids, take me along, Daddy,” he wired the president. “God bless you.” As for Mr. Lubenow, who now works in public relations in Cedar Park, Tex., he got $3.50 for writing the story and, perhaps, for changing history. But his editor was miffed — he’d gotten into politics, after all. Within a week, he left the paper. Emerson Able, Former Legendary Band Director @ Manassas High School And Jimmie Lunceford Advocate...This Is The Man Who Kicked Isaac Hayes Out Of The Band At Manassas High School!!! Able Recorded And Traveled With The Isaac Hayes Movement, Including The Great Wattstax Festival In 1972, And The Infamous Re-Shoot Of The Hayes Set There. As A Band Teacher In North Memphis, He Cultivated Many Fine Talents Over The Years, And Is One Of The Unrecognized Influences Of The Memphis Sound. Mr. Emerson Able Is Also A Jimmie Lunceford Fan And Advocate...He Is A Member Of The Honorary Committee For The First Annual Jimmie Lunceford Jamboree Festival. 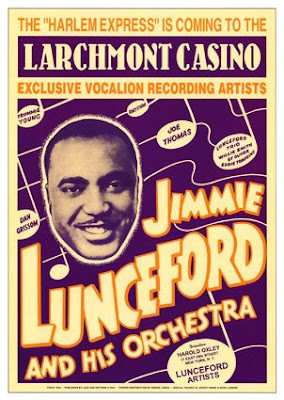 In the early 1930s Lunceford took his band to the legendary Cotton Club in Harlem, NY to take over as the house band for Duke Ellington and Cab Calloway…The group eventually became known as The Jimmie Lunceford Orchestra…The Jimmie Lunceford Orchestra would regularly broadcast live from the Cotton Club gaining a huge national audience…Jimmie Lunceford would constantly beat the great swing bands of his era in numerous “battle of the bands” contests including those led by Count Basie, Duke Ellington, Benny Goodman and Chick Webb…The Lunceford Orchestra was considered by many including Glenn Miller and Miles Davis to be one of if not the best swing band ever!!! The purpose of this event is to bring awareness about Jimmie Lunceford and to instill community pride in the achievements and accomplishments of a native Memphian who never forgot Memphis…Jimmie Lunceford’s remains are interred at the famous Elmwood Cemetery along with his wonderful legacy. Hopefully three days in October and many years to come we plan to change that. I interviewed Mrs. Kathyrn Perry Thomas (Manassas High Class of 1932 and classical pianist who practiced with Jimmie Lunceford when he was band director at Manassas High School in the 1920s), jazz great Gerald Wilson (who went to Manassas for a couple of years back in the 1930s and who also played with Jimmie Lunceford) and Memphis journalist Preston Lauterbach who wrote the excellent story on Jimmie Lunceford in The Memphis Flyer. Panelists will include people who knew Jimmie Lunceford personally, renowned music experts, and legendary musical figures who benefited from the example and music of Jimmie Lunceford…This will be broadcast live throughout the country and world via internet. 2.) Date: 10/20/07 Venue: Elmwood Cemetery Time: 9AM-10AM~ Wreath laying ceremony at Jimmie Lunceford’s gravesite in Elmwood Cemetery. 4.) Date: 10/21/07 Venue: TBA Time: TBA~ Tribute Concert to Jimmie Lunceford featuring local as well as national acts. 5.) Date: 10/19-10/21 Venue: TBA Time: TBA~ An art exhibit paying homage to Jimmie Lunceford and jazz music. 1.) 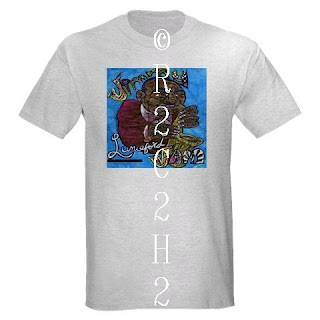 Buy A Jimmie Lunceford Jam Shirt Autographed And Created By R2C2H2 Tha Artivist!!! 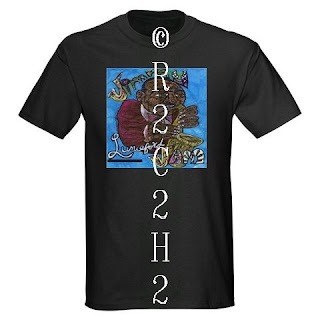 Please Click Here To Learn How To Order And Buy A Shirt. 2.) Become An Official Sponsor Of The Jimmie Lunceford Jamboree Festival. with us…To Learn More About This Opportunity Click Here. 3.) Donate Your Spare Change To Our Paypal Account. There is no such thing as small change in this effort for change...If you have a penny or more please feel free to donate to this cause…Please Send Your "Change For Change" To Our Paypal Account By Clicking Here. 4.) Volunteer Your Time And Talents To Make This Event 60 Years In The Making A Truly Extraordinary One. If you have a talent(s) or a service that would benefit the festival please feel free to contact us through e-mail jimmie.lunceford.jam @gmail.com or call us anytime @ 901-299-4355…All good vibrations are welcomed!!! If you are reading this I would like to thank you for taking the time to do so and for your consideration...If you are reading this and want to be a part of something historic, fun and that will make an impact for years and generations to come I would like to welcome you to the family!! !